7/30/18: The SHP9500 has been discontinued, and I’m really annoyed by it. Basically Philips got rid of their best selling headphone which is in very high demand. How does that make any sense at all? There’s nothing for under $100 that even came close in terms of an open back, and the headphone itself is worth much more than the original asking price of roughly $50 to $70. I had gotten mine on New Egg awhile back for around $54. Anyways, I’m still going to keep this article in tact as the headphone may come back as a new iteration sometime down the road (hopefully). If you would like to see the review:Philips SHP9500 Review! 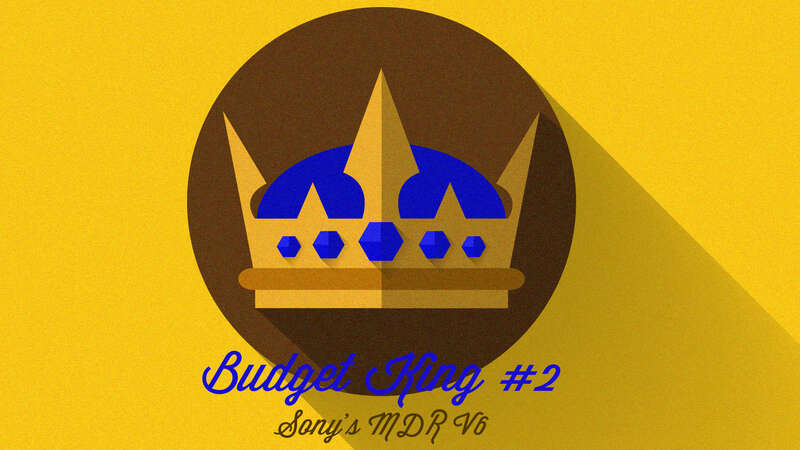 Budget King #1 has now been switched to the MDR V6. With that, let’s get into the article. 2/27/19: The SHP9500 had been discontinued, but it looks like New Egg just brought it back. Check out the price! However: Basically Philips got rid of their best selling headphone which is in very high demand. How does that make any sense at all? There’s nothing for under $100 that even came close in terms of an open back that combined excellent build, comfort and sound into a complete package, and the headphone itself is worth much more than the original asking price of roughly $50 to $70. I had gotten mine on New Egg awhile back for around $54. Anyways, I’m still going to keep this article in tact as the headphone may come back as a new iteration sometime down the road (hopefully). 3/30/19: Replaced the Sennheiser HD558 with the Samson SR850. 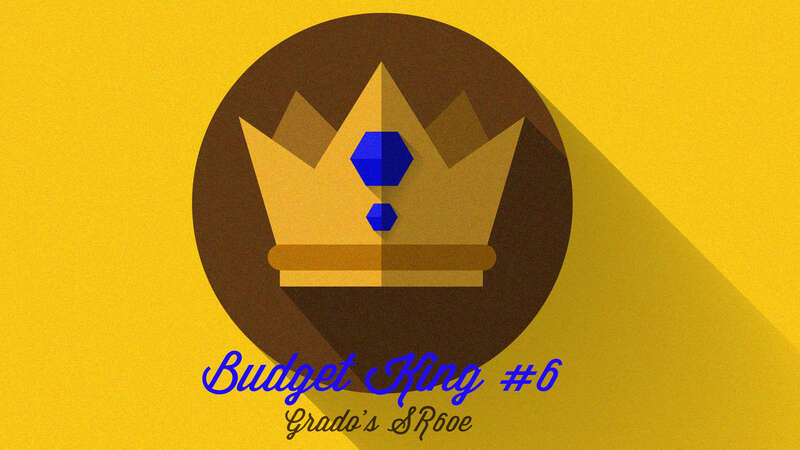 Reason being that the 558 is no longer budget and was discontinued. It’s going for roughly $200 as of this update. The 850 is also a phenomenal value and seemed like an easy decision given how much I’ve recommended it lately. It’s a perfect Gaming headphone as well, and has a fantastic Soundstage. The SR80e was also replaced with the 60e because after demoing both again, I found no audible differences between the 2. The 60e is a true under $100 headphone also while the 80e toes the line at around $99 most of the time. Before we get into the Best Headphones for Under $100, grab a snack, sit back and relax because.. There are a lot of great headphones out there under $100, and a lot of them manage to compete with headphones way outside of their price range. In fact, you may not really need to upgrade beyond this point, as the law of diminishing returns starts to set in fairly quickly. What this basically means is that as you spend more and more, you’re getting a smaller and smaller improvement in overall quality. One notable exception above $1000 is the Focal Utopia. This is the best headphone I’ve personally ever heard, and is about as complete of a package as you’ll ever find. Learn more: Focal Utopia Review! You’ll notice that at around the $300 mark, the sound has gotten better but it’s not night and day in my opinion. Most budget headphones that are considered “good” will get you most of the way to a more expensive sound, regardless of what any audiophile snob tells you. Once you start getting up over $600, the changes become more and more subtle, and different factors come into play like tube amps, expensive Amp/DAC combos, and the like. I’m not saying that more expensive headphones aren’t always worth the price, but I’ve had experience with some really high end set ups and the sound, while very good, may not warrant you mortgaging away your life savings. Lol. Sound Quality, Build, Comfort, Imaging, Clarity/Detail, and Balance. These things are paramount, but at the same time no headphone is perfect and we must be willing to accept that. For this article, we’ll assign a grade to each of these categories so as to give you a better idea of what you’re potentially in for before you decide to purchase one. 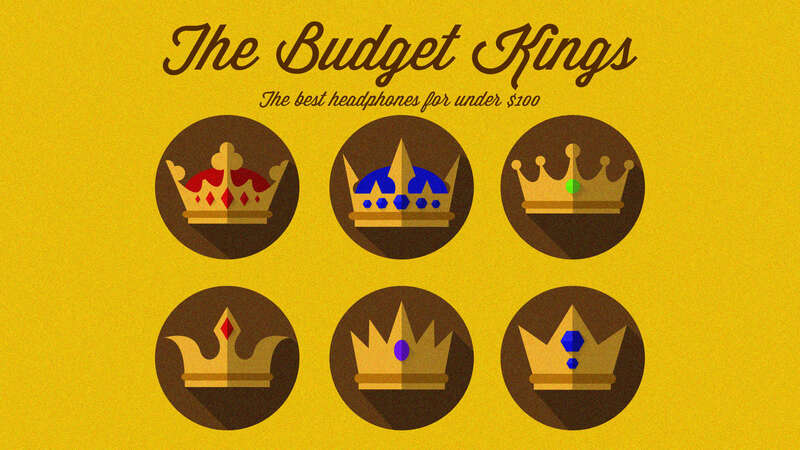 That said, I’ve narrowed down this list to what I like to call “The Budget Kings”, and I’ll link a separate, more in depth review for each headphone in question. I’ve discussed and debated this headphone ad nausea with many folks, and I’m sure the discussion is far from over. I believe it to be the total package for under $100. Let’s quickly run down why. Comfort: A+. While it does tend to slide around on your head at times, this is one buddy that you will not have to adjust 99% of the time. It sits on your head like air, and has a non threatening clamp force to go with that. The ear pads are made of fabric and are a bit awkward at first, but you get used to it once you forget the fact that they’re even on your head. Build: A+. This headphone is roughly $50, but functions like one in the $200 range, easily. It boasts a bit of metal on the headband adjustment, and is made mostly of a rugged plastic that doesn’t feel cheap in the slightest. The cable is detachable, and it’s the perfect length. Sound: A. Not perfect, but close. The bass does roll off more so than an HD600, and the treble can be a tad bright/metallic at times. That said, these are minor issues in my estimation and the overall sound is phenomenal. I have a good preset in iTunes for EQ’ing the treble down a tad and bringing up the bass a bit, and it makes them sound even better. If you were interested in the most in depth comparison: Philips SHP9500 vs. Sennheiser HD600. Imaging: A. Not sure why people are saying these don’t have a great Soundstage or aren’t great for Gaming, because it simply isn’t true. What is Soundstage? This is an out of your head feeling if I’ve ever heard one. I was playing Fallout 4 and the in game knocks made me think that someone was at my door! So I got up to answer it and no one was there 🙁 Lol. I got played (no pun intended). Clarity/Detail: A+. Perhaps the best quality of the 9500, this headphone reveals detail on a level that is equal to the HD600, without question. 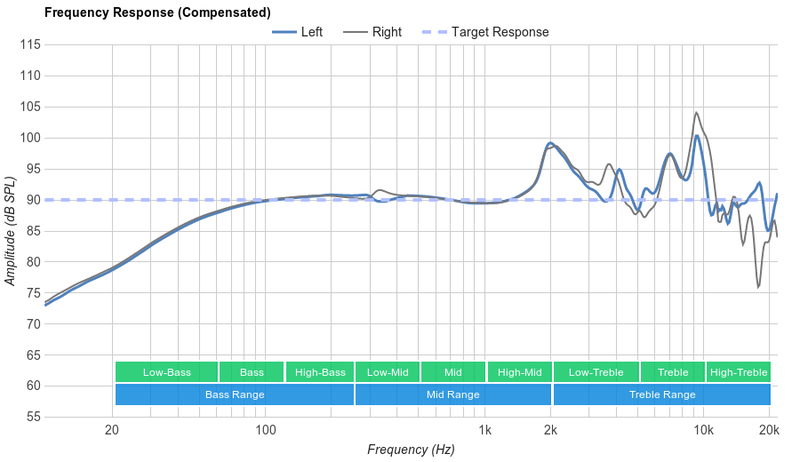 Some people have been arguing that with me lately, but I’ve dedicated an entire 4,000+ word post to this (and will be frequently adding more test tracks) which can be found here: Philips SHP9500 vs. Sennheiser HD600. Balance: A-. The bass is a bit rolled off which will be problematic for some, and the treble does have a certain metallic hue, but these things are relatively minor and can be EQ’d if need be. So this is my top overall pick, and for good reason. It does almost everything right, at a ridiculously low price if you can get it on New Egg. LEARN MORE IN MY OFFICIAL PHILIPS SHP9500 REVIEW!! It was difficult to place this one second, but I had to because of those ridiculously flaky ear pads and the propensity for the non-detachable chord to become tangled. Other than that, this headphone should have a place in every engineers cabinet. Comfort: A. Again, not perfect, but very good. Considering this is kind of a cross between a Supra-Aural (On-ear), and Circumaural (Around ear), the comfort level is surprisingly good and I can wear them for quite awhile without having to adjust. The clamp force is just right, and feels snug and compact on my melon. The only thing about these is that they may hurt your ears after a long session, but that’s to be expected. Take a break man! Build: A-. The build of this puppy is quite solid, save for the flaky ear pads. The faux leather on these is fine at first, but after about a year or two of heavy use, they will start to flake and peel, and it’s one of the most irritating issues on the planet as far as headphones are concerned. Luckily they are replaceable however. The chord is also not detachable, and Sony has opted not to update this at all since the mid 80’s. I suppose it’s not that big of a deal, but the coiled chord will tangle after awhile and while not a deal breaker, it is annoying. Sound: A. Like the 9500, the V6 isn’t without it’s issues (although minor). The treble does tend to get hot at times, but overall the sound signature is extremely balanced and perfect for mixing/reference. In fact, these are my go to headphones for mixing down tracks as they have the perfect amount of bass. Not too much where you have to under compensate, and not to little where you have to over compensate. The mid-range is fantastic, and the sound as a whole is extremely crisp and clean. A real winner! Imaging: A. I mean yeah, this is a closed back headphone, but the imaging is sensational. The Soundstage isn’t wide or anything, but instrument placement, separation, and clarity is all outrageously good, especially for a budget headphone. This baby resembles something in the $200 range easily, and that’s why I endorse it so heavily. It’s price to performance ratio is simply astounding. Clarity/Detail: A+. As discussed above, it’s marvelous. A guy named Markolav who is a nice dude that I discuss headphones with bought a pair of V6’s upon my recommendation and loves them. He said he noticed stuff going on that he never did before, and that the clarity can sometimes almost be annoying! Haha. That’s how good these are. They reveal things that you previously thought were insignificant, and they do it in a way that for me is extremely enjoyable. Balance: A-. While extremely balanced for the most part, the treble has a bit of unnecessary sizzle at times, and will get “hot” with certain tracks. That said, it is a reference headphone so that’s to be somewhat expected; you tend to need that extra sparkle to discern what’s going on better. LEARN MORE IN MY OFFICIAL SONY MDR V6 REVIEW!! This was placed third and although it’s marketed as a reference headphone, it’s really not. I mean, it can be used for reference, but I would consider it after the V6 as there’s more bass here and overall it’s a bit less balanced. Comfort: B+. This is one that will start to dig after awhile. Being that the clamp is rather tight, you’ll be making more frequent adjustments than you would with a V6. That said, overall it’s still pretty good, but expect it to indicate a level of comfort inline with the price. You sort of get what you pay for in this instance. Build: A-/B+. Solid build for the most part, but I added in the B+ because these tend to crack at the hinges according to a lot of folks. Why? Because I said so. Haha just kidding. The reason is because the ear-cups don’t rotate inwards like they do on the M50x. This has caused a lot of stress fractures in that area, but thankfully mine haven’t suffered the same fate. Just be extra careful with them I suppose. Sound: A-. Despite the slight mid-bass hump, these are incredible for the price as a purely casual, fun sounding headphone. They work well with nearly all genres, and have a crisp character that is immensely enjoyable. The treble, like most budget type headphones, can get a bit sibilant/metallic at times, but it’s relatively minor and not over the top. What does Sibilant mean? That said, it does hold the 40x back from taking top spot which is why I placed it third. Imaging: A. For a closed back headphone, these provide great imaging, separation, and detail (a running theme in this article). Soundstage is a bit narrow, but that’s to be expected. In actuality, these will probably surprise you with regard to how well they do with providing a clear and distinct image. They do sometimes give you an out of your head feeling, so don’t write them off just yet pal. Just be aware that you’re not going to be buying these for the purpose of Soundstage. It’s still a closed back headphone with a sound that’s mostly in your head. Clarity/Detail: A+. Even despite the fact that the mid-range is somewhat pushed back in certain areas, the clarity and detail is on point. You’re going to be noticing small details and nuance that will only enhance the experience. Balance: B+/A-. I’ve been listening and mixing on a V6 for a few beats I’ve been working on, and in listening with these I can hear a clear difference in the mid-range. It’s definitely a little recessed which makes for a somewhat weird sound at times in regards to vocals and instruments being pushed back. That said, for the most part the balance is there and the treble really isn’t too bright, but it can sound kind of metallic which I noticed as well. For example, a particular high hat I used for this one beat sounds great with a V6 but not so great with a 40x. This is kind of disappointing and makes me want to either EQ it, or scrap it in favor of something else. This is what I mean by not considering the 40x first for mixing. It simply doesn’t perform as well as a V6 and shouldn’t be your primary mixing headphone. 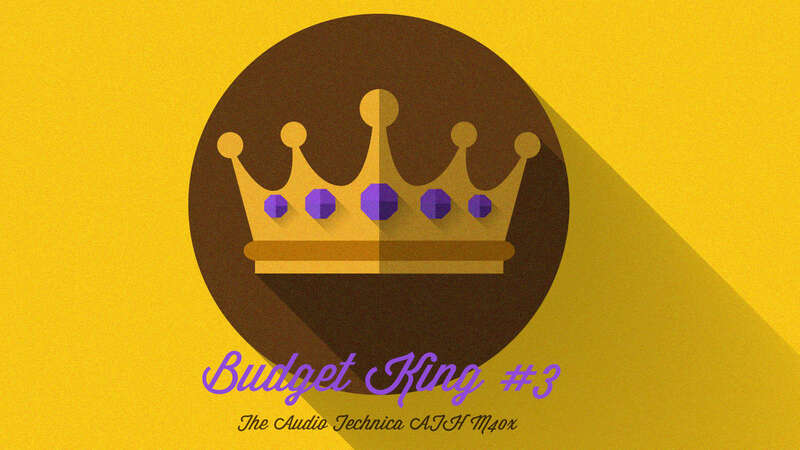 LEARN MORE ABOUT THEM IN MY OFFICIAL AUDIO TECHNICA ATH M40X REVIEW!! The SR850 has long been a fantastic entry level unit, and for good reason. It’s pretty comfortable but can be modded with better pads. It’s also got some of the best Soundstage I’ve heard out of a unit in this price range or otherwise. Both instrument separation and detail retrieval are also phenomenal, and the headphone does fantastic with movies and gaming. It’s my current Gaming & Netflix headphone and doesn’t move from my coffee table. A fantastic value and steal at it’s price! Comfort: B+. Not perfect, but it gets the job done for the most part. I would invest in some separate pads for these. Build: B/B+. Even as cheap as it feels and is (materials being mostly light plastic) I haven’t had any issues with this headphone since I got it. It’s lightweight but it’s strangely deceptive in that it doesn’t really feel like it’s going to break. It is creaky for sure, but I’m never really worried about dropping it if you can believe that. Sound: A-. This is going to be a somewhat balanced sound with a great mid-range, a bright treble and quite a bit of bass roll off. Yes, the treble is going to sound strident at times and overly hot, but it’s something I can deal with given how great it sounds outside of that. Details emerge in all directions and this is pretty much the perfect FPS shooter headphone. Also, in watching Garden State I was hearing all kinds of subtlties to the extreme right, to where it sounded like it was kind of coming from my kitchen area. Definitely an out of your head type of sound. Playing Fallout 4 resulted in a similar experience. This headphone and the 9500 make it seem like someones knocking at your door a lot of the time and it’s fairly startling. Clarity/Detail: A+. Expect to hear everything and then some. The 850 is a detail monster, but it does so in a pleasant way. This is definitely the type of headphone you’ll want to dissect music with, as it provides an open, airy sound signature that’s ultra revealing. Because of that, you’re able to hear everything going on in a pretty honest and straightforward way. Balance: B-. This is where the 850 suffers, as the treble can be way too overly hot at times, and the bass roll off may be problematic for some. Still, this is a perfect Rock headphone and even does pretty well for Hip-Hop if you’re not an outright crazy bass head. The bass rolls off quite a bit here, so for that I have to dock some points. That said, the mid-range is about as good as it gets. 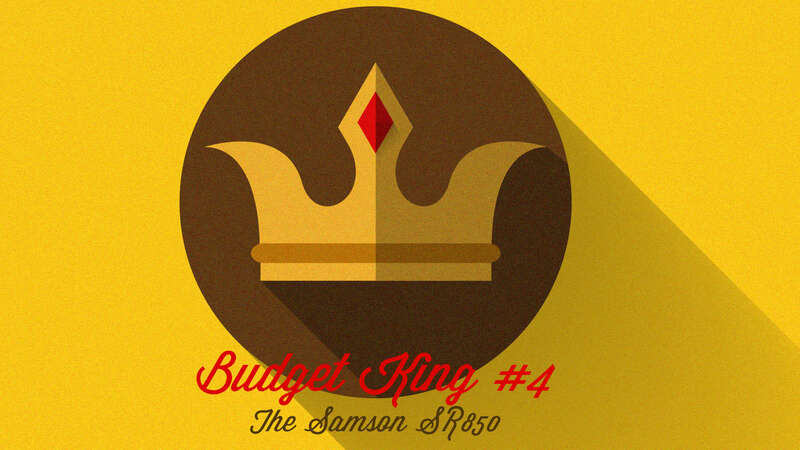 LEARN MORE ABOUT THEM IN MY OFFICIAL SAMSON SR850 REVIEW!! This was a newer addition to my collection, and it earns a spot on the list because the Soundstage is one of the best I’ve heard from a closed back in any price category. The overall sound is very good as well, with some glaring drawbacks but an overall legitimate sound. Comfort: A. The comfort on these puppies is rather good, although they kind of make you look like a gigantic nerd (picture coming soon). The clamp force is light and inviting, and the padding is a soft and supple protein leather. Overall I love the way these feel. They aren’t really fatiguing, and the ear cups leave some room for your ears to fit inside. They are also deep enough to keep your ears away from the drivers, which might explain in part why the Soundstage is above average for a closed back. Build: A-/B+. Think of these like a poor mans M50x. They are all plastic except for the gold rings on the ear cups, and fold like an M40/50x as well. The interesting thing about them also is that they come with an almost identical 1/4″ adapter to the original M50! (More on that in the video review). I give them a B+ because they’re a bit flimsy and seem like they could break down with extended wear. Sound: A-/B+. I would say the main drawbacks here are a somewhat sucked out mid-range and a bit of bass bloat/fuzziness/clamminess/stuffiness, or something along those lines. I mean you kind of don’t notice it on it’s own, but when compared to a crisper bass like the V6 it becomes apparent. Imaging: A+. Perhaps the best feature of the CB-1, these have a Soundstage that recalls some of the best open backs that I’ve heard. If not for some other drawbacks in the sound category, these would be closer to the top and in fact may trump everything because of Imaging a lone. That said, the sound overall is a bit clammy which nets them a #5 spot on the list. Clarity/Detail: A+. I have to say impeccable. In listening to the same beats mixed on the V6, I can actually hear more micro details and imperfections in the sample itself, which is truly astounding to me. It’s hard to explain, but the CB 1 reveals more going on than meets the eye. For this I’m also tempted to rank them at the top. Balance: B+. The sucked out mid-range in certain areas will become apparent to you after extended listening, and for that I cannot award them any higher than a B+. The bass is on the neutral-ish side, but definitely doesn’t sound “too lean” which is nice. The treble has some nice detail as well and doesn’t come across as too bright. That said, it’s also lower on this list because it gives off a metallic/fuzzy type of vibe like the 40x at times. 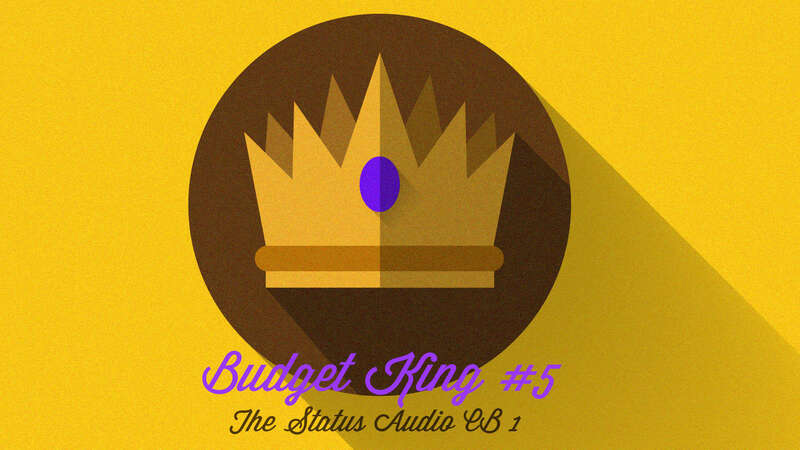 LEARN MORE ABOUT THEM IN MY OFFICIAL STATUS AUDIO CB 1 REVIEW!! The SR60e will likely floor you if you’ve never heard it before. It’s got an insane amount of detail, likely due to the over-exaggerated spike at 2k which can be rather grating at times. The good news is that this headphone still receives a crown because of how lively and engaging it is with most genres of music. Grado is either a company you love or hate. There’s really no middle ground, and though some will say these are horrible, others absolutely love them. I’m kind of in that “love them” camp but I do recognize that they are far from perfect. For under $100, they easily get a spot though. Let’s find out why! Comfort: A-. Though this is an On-Ear headphone, comfort is phenomenal due to those foamy pads which Grado likes to call the S-cushions. I can wear these for long periods of time without fatigue, and because they’re so light, they don’t dig into my head very much but still provide a good enough clamp force to remain stable. You will have to make small adjustments from time to time, which is why they don’t get the A+. Build: B-. Though they are hand crafted, the build seems suspect and prone to breaking very easily. All of the materials feel and look rather cheap, but the build itself is also strange. The ear cup is only held in place by a single rod that runs through a small piece of plastic leading to the headband. It doesn’t exactly give you peace of mind, let’s just put it that way. That said, the model that I normally demo at Audio Advice has held up and it’s likely been through hundreds (if not thousands) of hands, so in that regard maybe Grado knows something we don’t? I don’t know. I’ve read a few people on YouTube having these for upwards of 23 years without issue, so there’s got to be a method to Grado’s madness. Still, someone just the other day commented on my comparison video (below) and said the right or left channel went out inexplicably after 3 years. Go figure. Sound: A-. Because of the spike at 2k, I can’t give this an A or A+, but surprisingly, aside from that weird peak it’s a pretty balanced headphone from the bass moving into the mid-range before 2k. Treble is somewhat bright as well, so with certain tracks these will be kind of overly bright. That said, They don’t sound as metallic as you might think, and the brightness for the most part is somewhat constrained. A little EQ never hurt either! I would say this is a fantastic headphone for Rock and Metal because of how detailed those genres are. Though they don’t overlook the bass, the bass plays less of a prominent role than the mid-range, thus why the 80e will work extraordinarily well. Here’s a good graph. Imaging: A+. Great imaging here. Stuff is heard in all directions with a clarity and precision that’s almost unreal when you first hear it. Placement of instruments is also excellent, and micro details are heard and felt to a startling degree. Clarity/Detail: A+. Continuing with that, detail and clarity is obviously phenomenal, but the speed at which these handle fast tracks is one of the standout features. I can listen to crunchy guitars from Chon that seemingly move a mile a minute and the 60e handles that with ease. Balance: B-. This grade takes quite a hit from the 2k spike and the somewhat bright treble, but the bass going into the mid-range before that is very good, and likely the saving grace that makes these headphones a good buy despite their shortcomings. Of the 60e vs. 80e. Find out if there’s a difference! Don’t forget to like, comment, and subscribe to my growing channel. Any support is much appreciated! LEARN MORE ABOUT THEM IN MY OFFICIAL GRADO SR60e REVIEW! Well that was quite a mouthful today! Expect this article to be updated, tweaked, or even added to as I gain more experience in the craft and with more and more headphones. That said, these options are what you should be really honing in on as far as budget is concerned. They all perform very well and some even rival much more expensive headphones. My motto is.. well I don’t have a motto. Lol. But I wish people would stop trying to over complicate things and just understand that a headphone like the V6 is about as quintessential a headphone as you’ll ever find. There’s no magic secret or formula to it. It’s been around since the 80’s and will likely be around for decades to come. 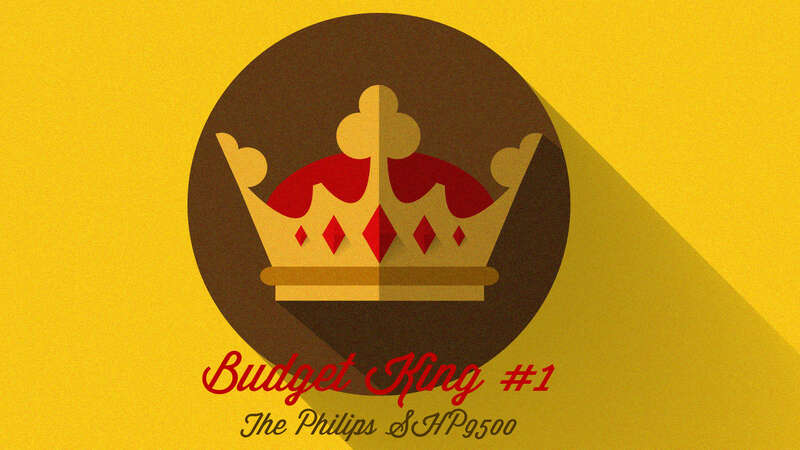 SEE THE PHILIPS SHP9500 FOR YOURSELF ON AMAZON!! SEE THE SONY MDR V6 FOR YOURSELF ON AMAZON!! These are my top two recommendations, and make a great one two punch if you need both an open and closed headphone. They compliment each other quite nicely actually. Well my friend, that’s about it for today!! I hope you got something out of this article on the best headphones for under $100, and now have a better idea of the overall picture. Which of these strikes YOUR fancy? Let me know! If you have any other questions, don’t hesitate to leave them below or Contact me! I very much look forward to speaking with you..